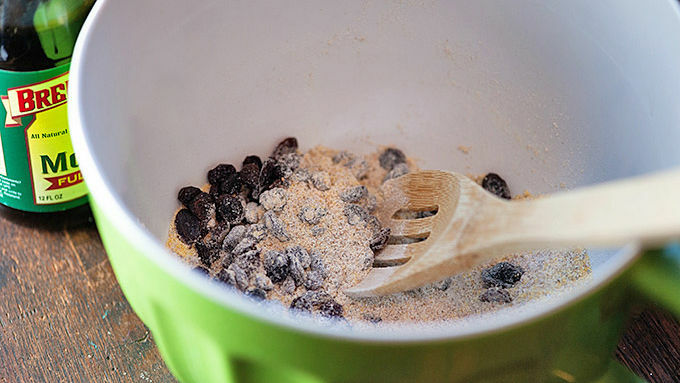 Add the whole-wheat flour, rye flour, cornmeal, baking soda, salt, and raisins to a large bowl and whisk to combine. 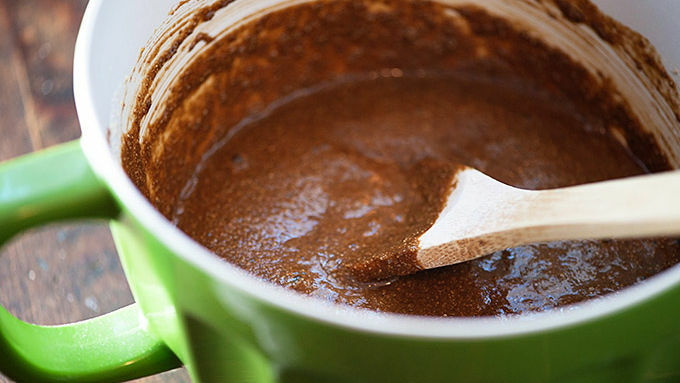 Combine the molasses, buttermilk, and bourbon and stir into the dry ingredients. Mixture will be a thick liquid. 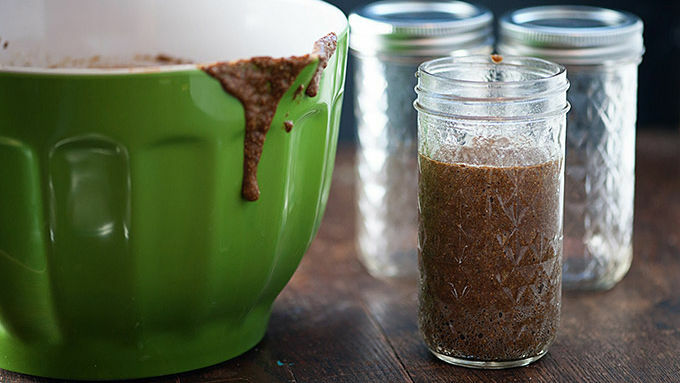 Spray non-stick cooking spray into 3 12-ounce wide mouth canning jars to coat the insides well. Pour the batter evenly between the 3 jars with each jar about 3/4 full. Tightly cover the tops with aluminum foil. Place the jars in a deep stockpot. Add enough hot tap water to come up the jars halfway. Cover the stockpot and turn the heat to medium. Bring to a simmer and reduce heat to low. Continue cooking for 35 minutes or until a skewer inserted in the center of the jar comes out clean. Remove the foil and let cool completely. Use a butter knife to gently separate the edges of the bread from the sides of the jar. Turn jar upside down and let the bread slide out. Cut into thin rounds. Serve with baked beans or fry the bread in some butter. 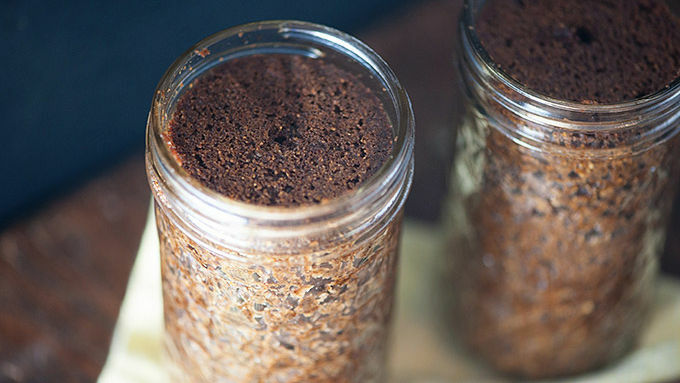 Please be aware that baking in glass jars requires special care. Make sure that the batter in the center of the jar is fully cooked, and never seal the jar while still warm or “can” the baked good for longer-term storage because that can be unsafe. Always clean and inspect glass baking containers before use. Do not use if you find any chips or cracks, as these can increase the risk of shattering. Molasses, raisins and bourbon add a rich taste to this hearty brown bread. Have you ever even seen such adorable little round loaves of bread? Gah. 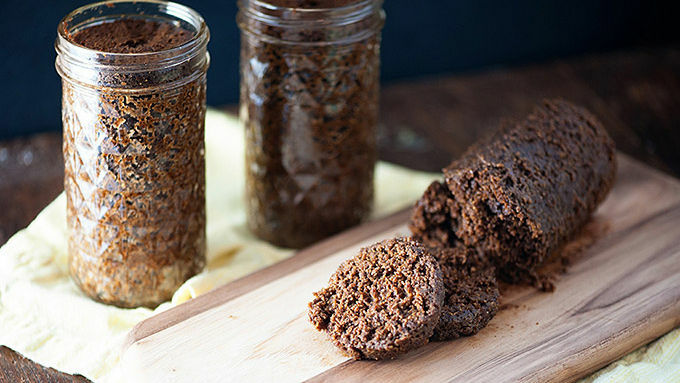 Boston Brown Bread dates back hundreds of years, and is a somewhat sweet quick bread. It’s fun to make because it’s steamed instead of baked, and I don’t know about you – but I think steaming bread is kind of fun! Maybe I’m weird? This bread is loaded with molasses and raisins, making it just sweet enough. It’s made with a mixture of cornmeal, rye and whole-wheat flours, which lends it a hearty texture and taste. Traditionally, these little slices of round bread are served with baked beans or fried in butter on the stove. I went ahead and boozed things up, because that’s how I roll. You like bourbon, right? I thought so. The bread is so moist. Steaming bread, man. It’s magical!